The London Road area is perhaps the missing link between St Mary's and the Dell in the fact that its smack bang in between. London Road is on the main drag into the City Centre and is well served by multi story car parks, several built since we left the Dell so handy for those away fans going by car. Its also well served by both bars and restaurants and is considered safe for the away fan as it isnt frequented by the more volatile Saints supporter. 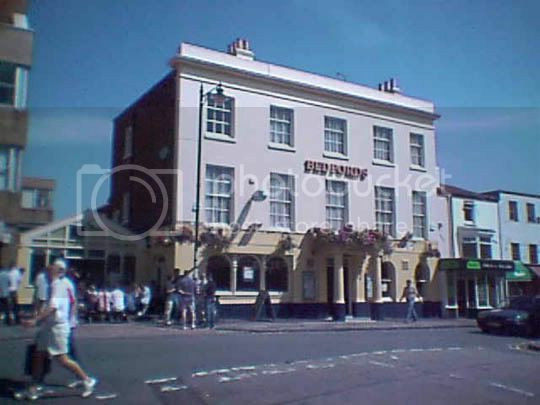 In Bedford Place there is the Bedford Hotel, in the days of the Dell not a place for an away fan, but nowadays quite safe, as is the Red Lion just down the road. 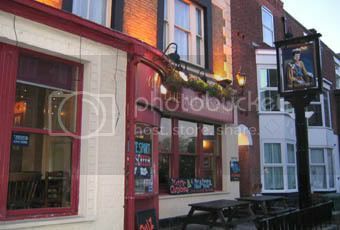 On London Road itself you have several bars, at the City End you have The Giddy Bridge a Weatherspoons Pub, so its cheap drinks and reasonably priced meals as you would expect. Turning right on Carlton Place there are a couple of bars worth a visit if you want to give a miss to either the crowds or those chain theme pubs that are cropping up. 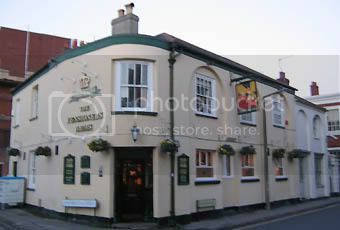 The Pensioners prides itself on being a football pub, football memorabelia adorns the walls and drinks offers for Saints supporters are often a feature of matchdays. 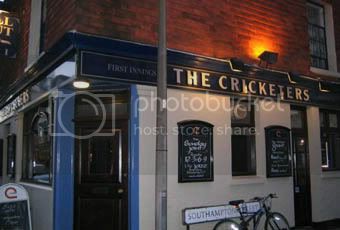 The Cricketers has always had a reasonable reputation, alongside the Pensioners and offers a decent pint with friendly clientelle who will speak to you and are just near enough the ground to attract the football crowd, but not near enough to get too busy with beered up supporters, on our last visit they were not allowing people in wearing football shirts, so perhaps the watering hole of choice for the more sedate supporter. 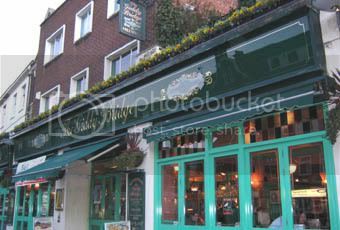 In the Road opposite the Varsity is The Alexandra, a haven for those who like real ale, it has SKY TV and a nice garden at the back that catches the sun, again a friendly clientele that turns to a more studenty crowd in the early evening. In between London Road and the ground however there is little stopping points, the walk is through a rather dodgy area to say the least so its not recommended to veer off the beaten track to look for that little back street gem, quite simply there arent any !